Anyone remember the amusing campaign for this sherry that ran in the mid-1960s? The ads consisted of an image of somebody desiring a drink, with a short rhyming caption. One was of a man holding a hammer; the caption read "DIY? - Dry Fly!" So many people wrote in with their own suggestions, Findlater's decided to make a competition of it. The winning entry showed a burglar sneaking out the window, joyfully grasping a bottle, with the caption "Other's buy? - Dry Fly!" I would be interested if you still have available. Have 20 bottles of this Sherry if anybody is interested. Hi I have inherited a bottle of that same sherry.. sealed and uopened. i believe it to be the 1959 bottle as shown above. If anyone is interested email me please. 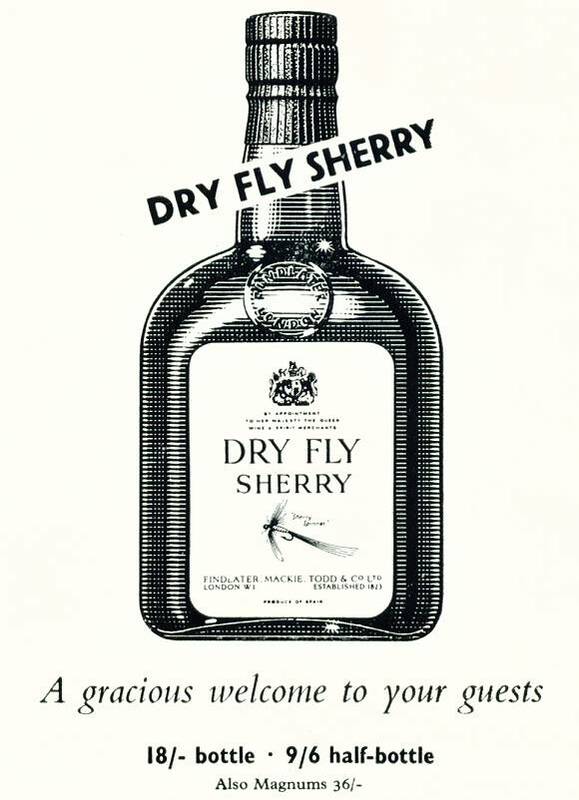 Has anyone located a source for Dry Fly Sherry? If so please contact me. Can you still buy this sherry?